I’ve mentioned music quite a few times a while blogging over the years; and the gist of it all was this: I wish I’d been a musician. You often get asked what you would like to have been if you weren’t a writer, and that’s my answer. And when I say a musician, I mean of almost any kind. But since I’m not, I’m pretty happy being a writer instead, though that being the case, I use music a lot in my writing. I mean that in two ways, at least. Firstly, like many writers, I prefer not to write in total silence. I can do that if I have to, but I prefer to have music playing while I write. This music isn’t random, however; I choose it very carefully, and the general rule of thumb is that I choose music that creates the same atmosphere in my head that I am trying to create on paper. Music really can help put you in the mood, that’s obvious, and I see it as another tool the writer can use to make life easier. Sometimes, I might choose music that is directly related to what I am writing; for example, when I wrote My Swordhand is Singing, I listened exclusively to Klezmer, the gypsy folk music of Eastern Europe, such as this. It’s music that can be both incredibly joyful, and then, at other times, perhaps the most mournful thing you’ve ever heard. I referred to an actual Romanian folk ballad in the book, and I listened to that over and over again too. It’s called The Miorita (‘The Lamb’) and was inspiring both in terms of mood, but also for the story itself: it’s the mystical tale of a lamb who warns a shepherd that his colleagues are going to murder him, and it’s both beautiful but also right on the theme of the book I was writing, about the acceptance of death. great, none is small. There is no punishment and no reward. An overwhelming love lightens our being. We know and are. That kind of thing brings shivers to my spine, and when I read a passage like that, I know that very often it will end up in a book. Which brings me to my new book, The Ghosts of Heaven. This book doesn’t have music in the story directly, and when I came to write it, nothing in my music collection seemed appropriate to play as I typed. So I took a pretty drastic step, which was to write to my own music. The book is made up of four novellas, effectively, four quarters, which are interlinked by an image – the form of the spiral. One part is set in prehistory, and is written in free verse. Another part is a straight narrative of a late witch-hunt in England. There’s a section set in an insane asylum on Long Island in the 1920s, and there’s a quarter that takes place in the far future, aboard the first ship from Earth travelling to colonise a new planet. There’s a short snippet of what I wrote as the soundtrack to this trailer for the book, and if you think listening to that for days must have put my head in a strange place, well, you can judge for yourself if you read it. 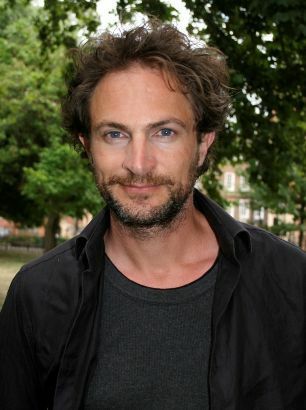 Marcus Sedgwick was born and raised in East Kent in the South East of England. He now divides his time between a small village near Cambridge and a remote house in the French Alps. 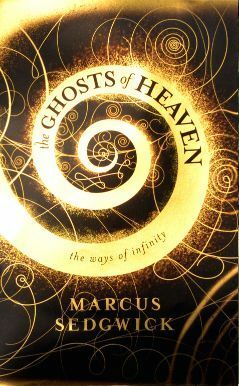 Marcus is the winner of many prizes, most notably the Printz Award, the Booktrust Teenage Prize, and the Blue Peter Book Award. His books have been shortlisted for over thirty other awards, including the Carnegie Medal (five times), the Edgar Allan Poe Award (twice) and the Guardian Children’s Fiction Prize (five times). In 2011 Revolver was awarded a Printz Honor. Marcus was Writer in Residence at Bath Spa University for three years, and has taught creative writing at Arvon and Ty Newydd. He is currently working on film and book projects with his brother, Julian, as well as a graphic novel with Thomas Taylor. He has judged numerous books awards, including the Guardian Children’s Fiction Prize and the Costa Book Awards. Find him on Twitter as @MarcusSedgwick and at his website. 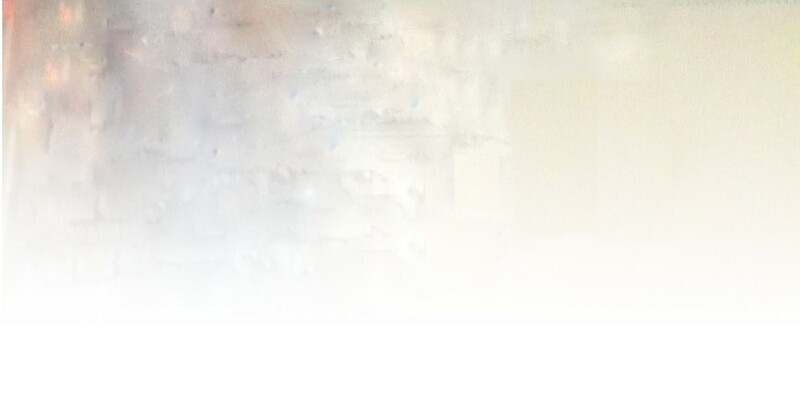 This entry was posted on October 22, 2014, 6:09 am and is filed under Undercover Soundtrack. You can follow any responses to this entry through RSS 2.0. You can leave a response, or trackback from your own site. Great trailer, Marcus. The music works as a fabulous soundtrack, speaking of undercover soundtracks. I’m intrigued by your quartet structure and will check out the book. Is your book available in the US? Hi: not yet! But very soon, early January.